The Egyptian Football Association (EFA) said on Sunday it would introduce the Video Assistant Referee (VAR) technology in domestic football soon after refereeing controversy clouded recent Premier League games. A number of high-profile errors had some clubs fuming, including defending champions Ahly and big-spending club Pyramids who both fell foul of some glaring mistakes. Ahly had a strong appeal for a penalty waved away by the referee and had a clear goal disallowed for offside in their goalless draw at El-Entag El-Harby earlier this month. Pyramids were also on the receiving end of several refereeing errors which cost them two points against Gouna following a 1-1 draw last week. Both Ahly and Pyramids threatened to withdraw from the league. "The EFA has contacted (world governing body) FIFA to begin practical steps to implement the Video Assistant Referee technology in Egyptian League games," the association said in a statement. 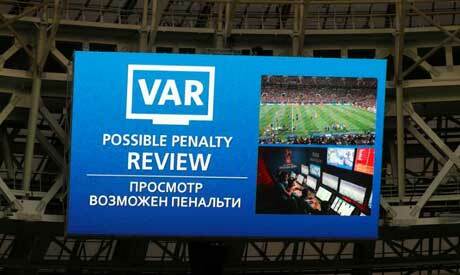 VAR's successful implementation in the summer World Cup in Russia prompted several countries to follow suit in their domestic competitions, with the technology now being used in the likes of the Spanish La Liga and German Bundesliga. EFA's previous trial of VAR in April 2017 proved unsuccessful, given the lack of adequate technology. Pyramids' wealthy Saudi owner Turki Al-Sheikh said he was ready to invest in this technology. The EFA also accepted demands by several clubs, including Pyramids, to allow them to bring in foreign referees as long as they were ready to pay the expenses - which they said was $15,000.